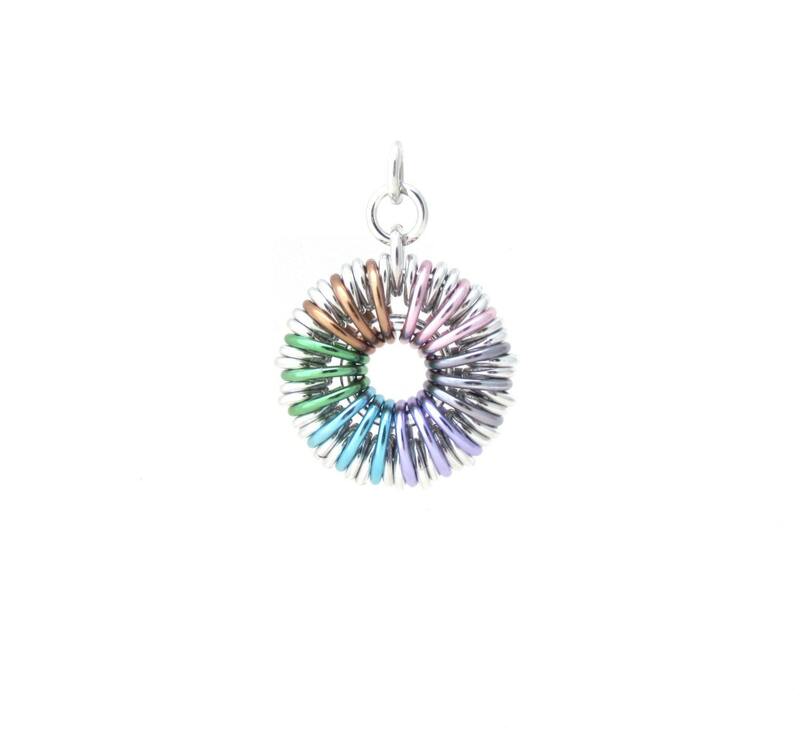 A small but lovely piece, this pastel chain maille pendant is a wonderful accessory that goes great with just about anything! Featuring a rainbow of pastel colors, it would make a wonderful gift for you or someone special! 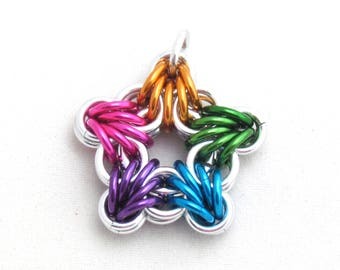 This multicolor pendant is created with aluminum colored jump rings in an assortment of pastel shades - rose pink, champagne gold, mint green, sky blue, lavender purple, and black ice (a gray shade that can have a slight purplish hue in certain lighting), as well as plain aluminum jump rings. It measures approximately 15/16 inch across, by about 1 3/8 inch long (includes the rings used as a bail). It is small and lightweight, and very cute!